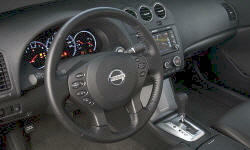 Why the 2011 Nissan Altima? Sport suspension on the 3.5 SR is a PERFECT blend of comfort and performance. Little to no body roll in the turns. Crisp, razor sharp response. All but the largest bumps are absorbed with with a quality feel. Glides down the road at highway speeds. 3.5SR has a totally different appearance (to me)than a 2.5S. 17" wheels, lip spoiler, fog lights and HID headlights really set this car apart from the more passive appearance of the 2.5S. I feel ext styling will stand the test of time. 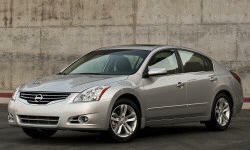 Why Not the 2011 Nissan Altima? Compared to many new cars, one could argue that the interior is somewhat plain and uneventful (lacks tons of controls/button). Personally I think the interior has a clean straight forward appearance that I appreciate. Center vents have a sporty design.